I don't know which ancestor passed this down to me, but I have hair literally everywhere. But the weird thing is, it doesn't bother me that much. I learnt a long time ago to accept it. I used to shave my arms and then the hair would grow back thicker and I thought to myself, ok, do you want to be a bear? Well, you can guess the answer to that. But.......there has been an area of my body that has become a hairy nuisance. My face. Yes, I grow hair on my cheeks and under my chin. I think I first noticed it when I was about 15years old and someone pointed out I had a hair on my face, but it wasn't a little eyelash hair, it literally was this long hair growing out of my cheek. I panicked. What the heck was happening to me?! I took a blood test to check if my hormones were balanced, which they were. So I just had to accept that I was hairy. As the years went on and I grew into my fabulousness I tried shaving, waxing, plucking, threading and even trimming the hair down with a tiny pair of scissors, but the hair obviously grew back. I then tried electrolysis, which was a painful procedure and lead to marks on my face. Electrolysis works by directing an electric current into each individual hair follicle. So I stopped that, because no one wants hair and marks, that wasn't the plan. So once again I decided to just let it go and return to the waxing and plucking. Like I said before the hair didn't really bother me that much, well it may seem like it did because I was trying everything on earth to get rid of it. But it didn't make me feel ugly or less than, I just didn't like it. Seriously, if I let the hair grow for about a month, I would have a full on beard and be part of #BeardGang , so I decided to look into laser treatment. I had enquired about it when I went to visit the doctor at 15 and they told me there wasn't any lasers developed for dark skin, so I had to wait. 13 years later, there is a laser!! I am currently having laser hair removal at Pulse Light Clinic. I had had two sessions so far and I am really impressed. I booked a patch test and consolation with them first to make sure the laser was suitable for my skin. 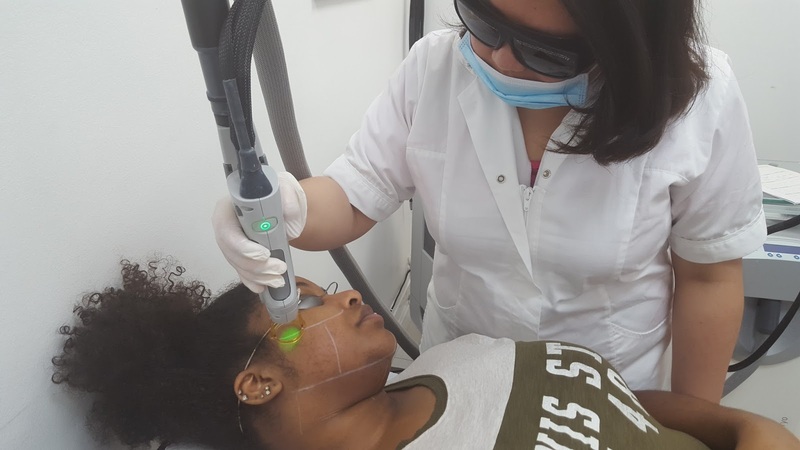 Even though there is a laser for dark skin, you still have to be cautious of possible side effects, especially with your face. 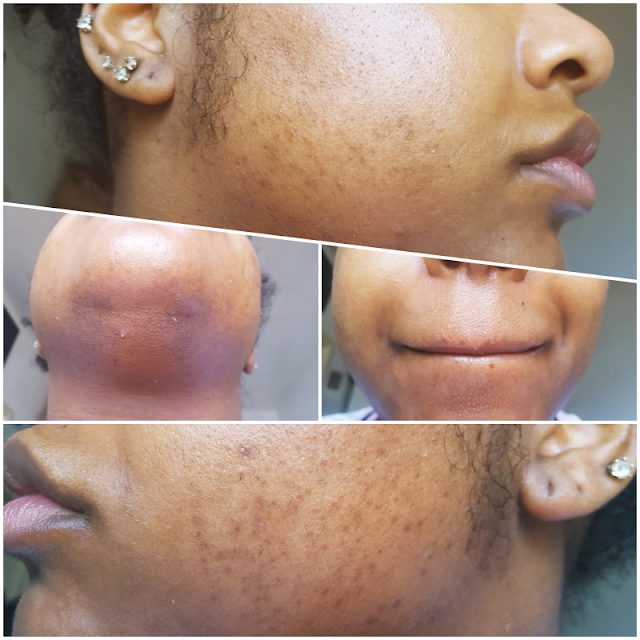 The patch test was a success, I didn't have any skin irritations, or reactions, so I booked my first session. How does it feel? They describe it as a rubber band snap feeling, and it is literally that. It is like a little sting to the face and that's it. There are moments when I flitch because I simply wasn't ready for the beam. Laser hair removal works by sending a beam of laser light to a group of hair follicles with enough power to destroy the root but not enough to harm the surrounding skin. 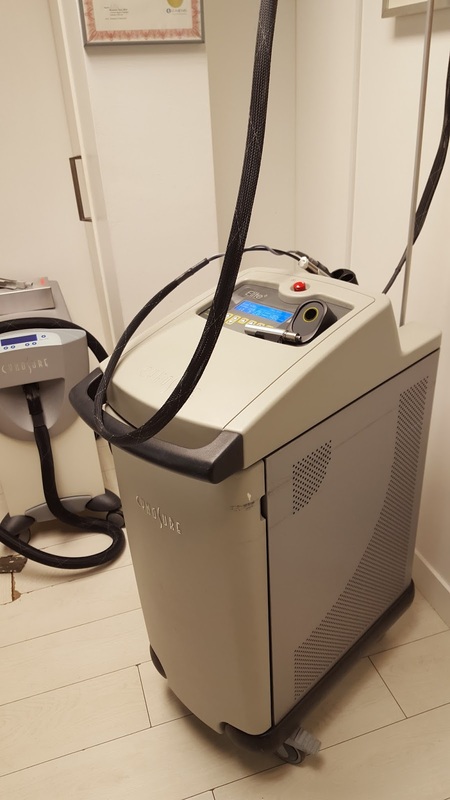 The technologies are designed to cause selective heating of hair follicles but are safe for surrounding tissues. After the 1st treatment the hair grew back the next day. I didn't expect the hair to disappear straight-away but part of me was a bit annoyed....like why are they back?? So the next morning I woke up prepared to have a plucking session and erm.. the hair had gone. Yea I thought I was seeing things. The hair had fallen out. Gone. Vacated. Left. Except a few hairs, which I plucked out effortlessly. Usually when I pluck I can feel the hair being pulled by the tweezers, but this hair just popped out easily. I was excited!!! My next appointment was 4weeks later, which was last week Wednesday. Once again, no problems, no issues. The hair didn't come back at all this time. So I guess it is working!! As for Pulse Light Clinic, their staff are very friendly and welcoming. They also answer all your questions that you may have. I will be updating you at the end of my treatment with my overall experiences, but if you are interested definitely enquire with Pulse Light Clinic. Your results are looking great. I'm so glad someone reputable has found somewhere in London and documented their experience.